The Rode NTR Active Ribbon Microphone offers high output, high detail and truly high class sounds - this could just be the next best sonic upgrade for your recording studio. 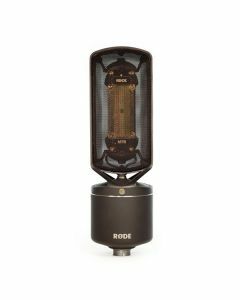 Designed to hang in the world’s finest recording studios and performance halls equally as well as home studio spaces, its existence is a labour of love for RODE. Every element of the NTR, from the transformer to the ribbon element itself, has been designed and created in-house at RODE’s headquarters in Sydney, Australia. All with the aim of crafting the finest ribbon microphone available.